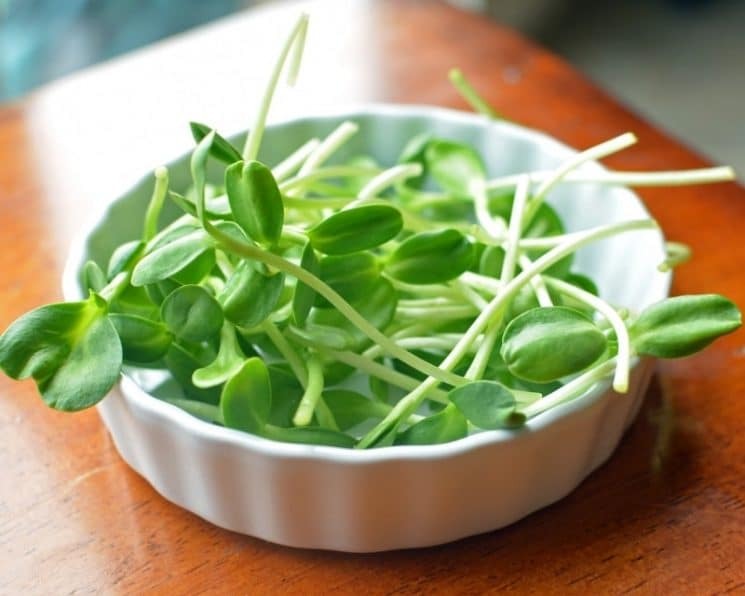 Sunflower Sprouts- Grow, Spread, and Eat! 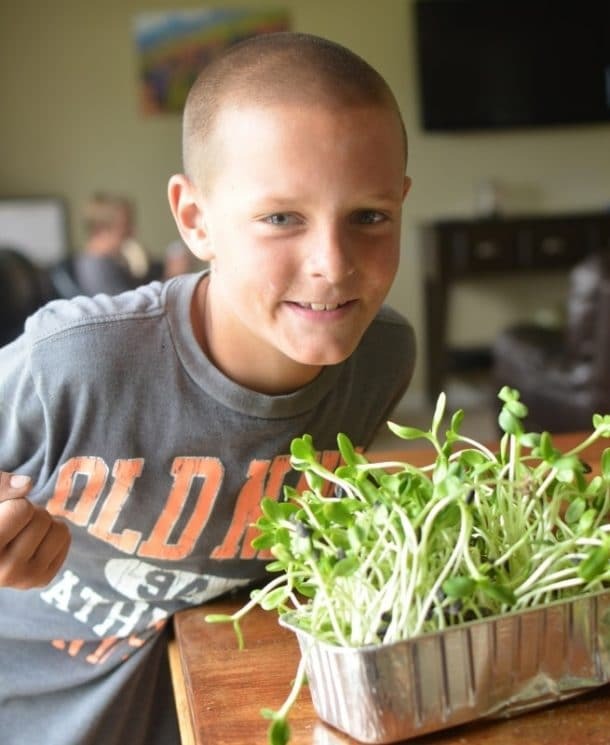 Sprouting is the perfect gardening activity for kids! Not only can you see the “fruits” of your labor within 2 days, but it’s almost impossible to screw it up! We’ve had plenty of gardens that have failed. We put in lots of hard work, and didn’t get any fruits or vegetables. But sprouting has worked for us every time! 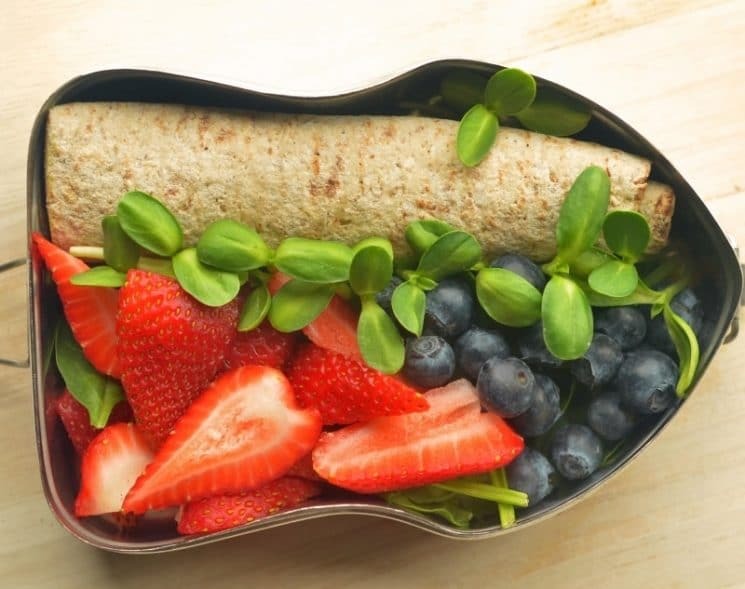 Even better, sprouting microgreens are so tasty and versatile, that the kids like to eat them. Our latest project was Sunflower sprouts (often called sunflower lettuce). I learned about these tasty little sprouts at a church activity and the kids were excited to give it a try. 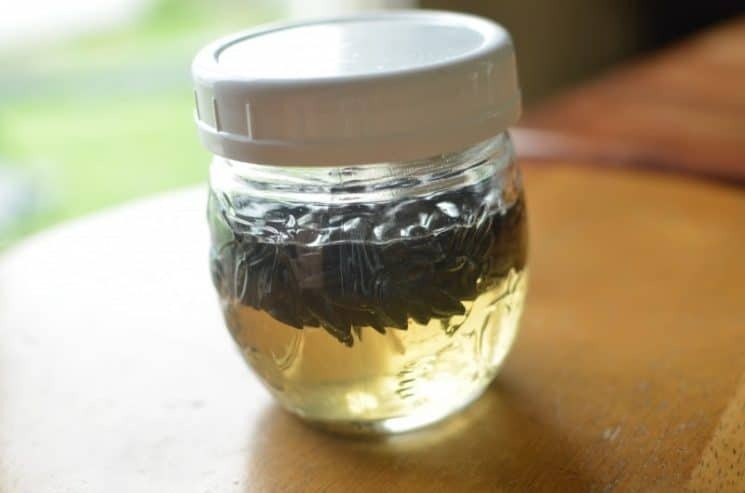 Soak the sunflower seeds for 12-18 hours. They like to float to the top, so I used a jar with a lid to turn it upside down and to make sure it was filled. Dump into a colander until they sprout- keep damp by spraying with tap water. Once they begin to sprout a tiny white tail, they are ready. Spray with a spray bottle to keep it damp. After two days, remove the paper towel. After 5-6 days, you’ll have sunflower lettuce! TJ is my crazy one. He is in that phase where he thinks it’s cool to eat weird stuff. He likes to pull leaves off of his sprouts and chomp on them in front of his friends.. Kind of a show off thing. Lol. So, I made sure to send him some plain sprouts in his lunch. We also eat the sprouts in sandwiches or on top of some crusty bread. 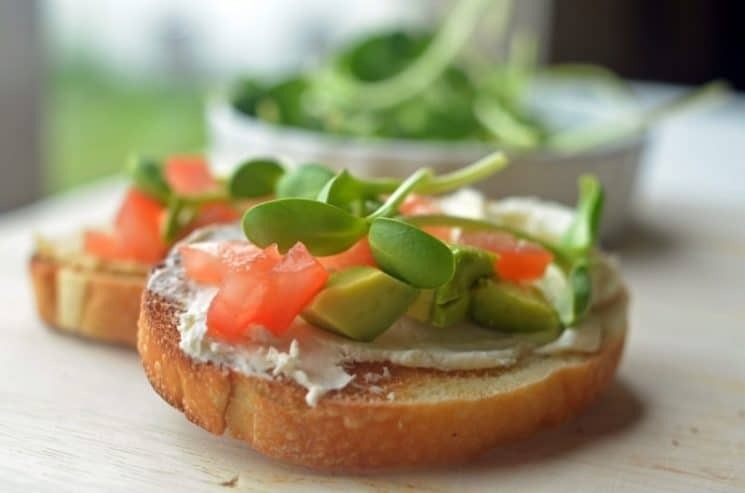 This one has cream cheese, avocado, and tomatoes, with sunflower sprouts on top! 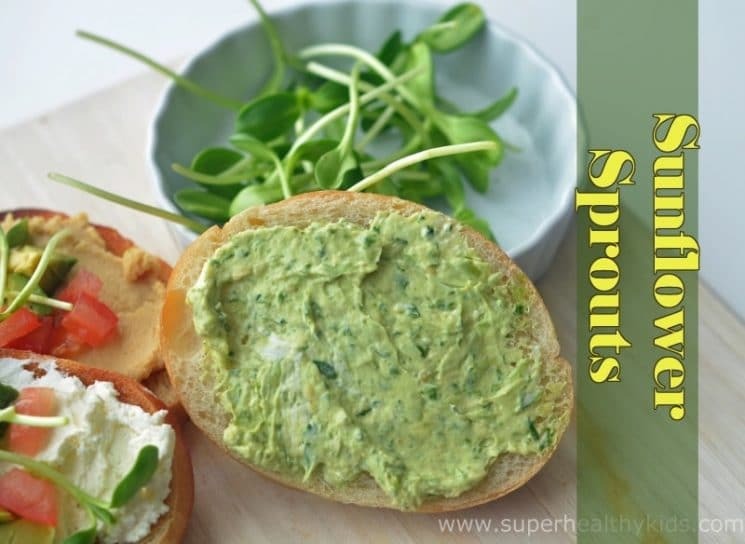 If your kids don’t like to SEE the sprouts on top of their bread, you can always turn it into this mouth watering spread!! 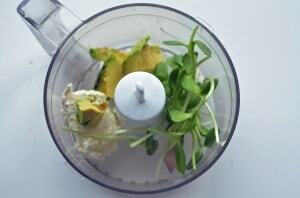 Cream cheese, sprouts, and avocado, all in the food processor!! YUM!! If you’ve ever used sunflower lettuce/ or sunflower sprouts in a recipe, I’d love to hear what you do with it! I’ve used other types of sprouts before but never sunflower sprouts. 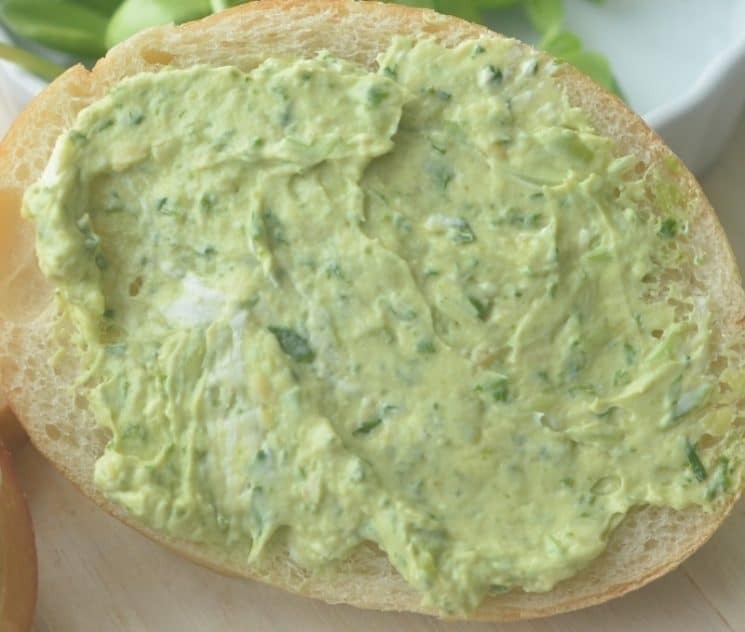 That spread looks really good with the avocado and cream cheese in it! I can’t wait to try it myself once I get some sunflower sprouts! I really like how you not only gave instructions on how to get the sunflower sprouts to bloom (with pictures thank you very much :)) but you also gave several ways to eat them. I have to admit I don’t always have the best green thumb so being told step-by-step what to do and then being able to see the pictures of each step and what it should look like when I’m done really helps. I also now have some ideas of what to do with these healthy greens once I’ve grown them. 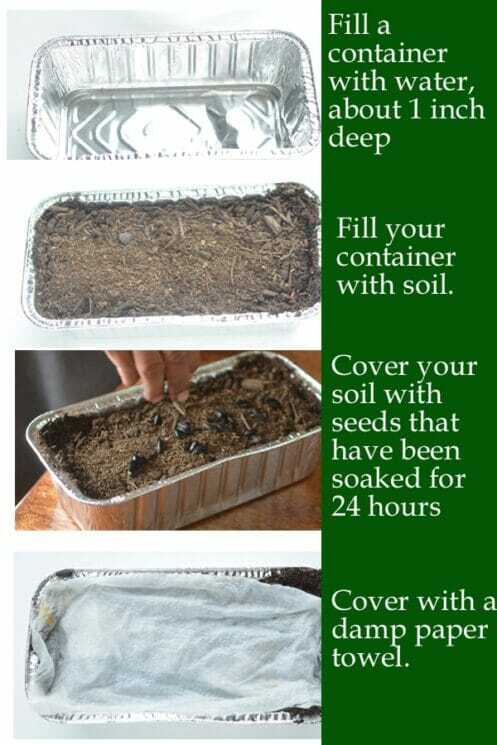 About how many seeds were in the container shown? All the soil was covered with seeds. 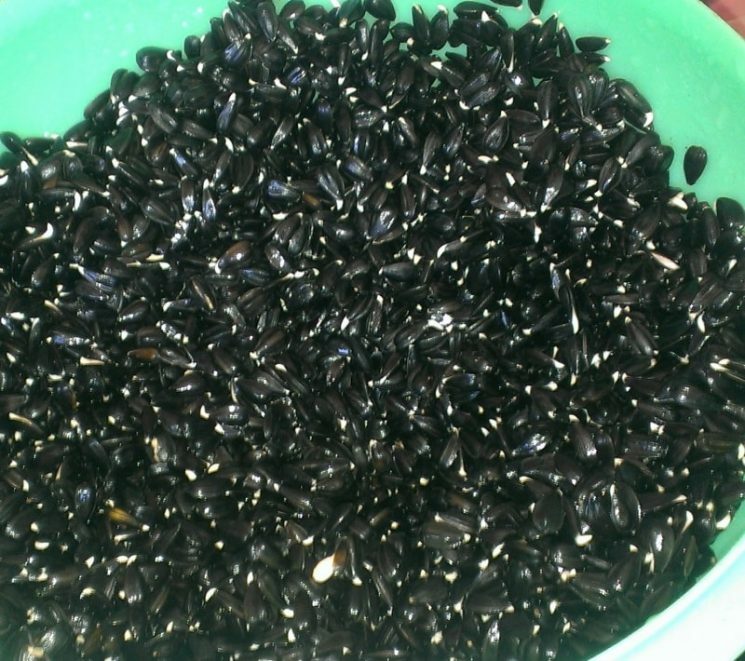 Do you need to use the sunflower seeds still in shells? I have the shelled kind, will that work too? Great spread recipe. My kids might actually eat that! They are still in the shell Pam, but these black ones are specifically for sprouting. 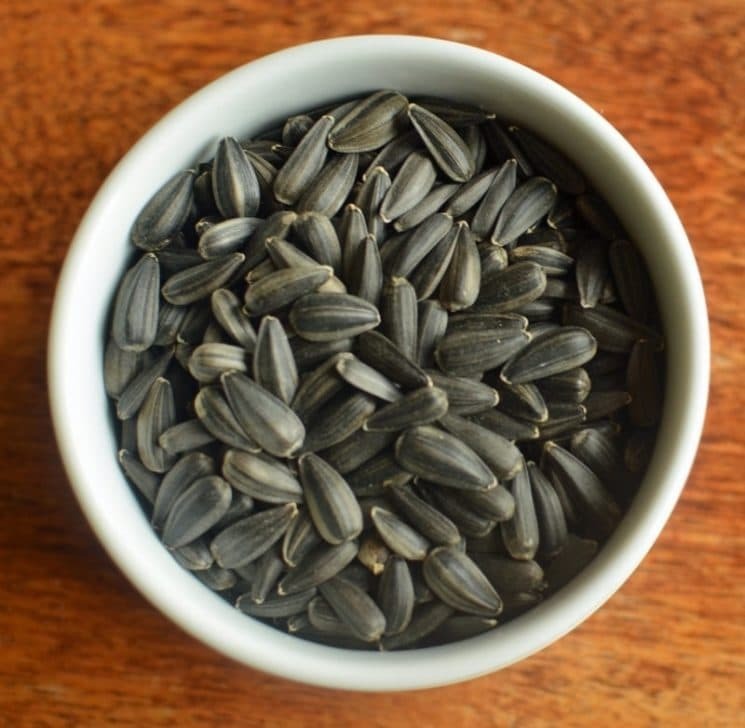 The sunflower seeds in the shell you buy for eating are different. Ahhhh, did not know that. I’ll definitely have to buy some. Thanks for all of your great recipes! I simply love the vegetarian options you have. Being a vegetarian I had a hell of a time planning my son’s lunch after we moved to the US from India. I pack his lunch by 6 in the morning and it will be an easy 5-6 hrs before he eats. 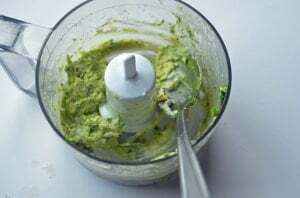 I always had my concerns about sending guacamole / avocado for lunch owing to the oxidization. Is there anything that I need to keep in mind while packing an avocado preparation for lunch. Suman, you can squeeze a tiny bit of lemon juice in the mashed avocados and it seems to be enough to keep it from getting too brown. I use them is Asian dishes – stir fried with ground pork or turkey and season with garlic and soy sauce, or in clear soup. My favorite is to use as a vegetable in my ramen noodle dishes. Just had a sample taste this morning, 5/3 at the Columbia University farmers’ market. Bought a packet and plan to mix with a salad and make into a spread. Sunflowers have always been my favorite seed/nut. Looking forward to sprouting our own. We have skylights and it’ll make for a good natural light/filter without getting too hot. Viva la girasol! Just wanted to note that these are Microgreens also called shoots, not sprouts, since they are grown on soil. Love your recipes, keep up the good work!